Here’s an all-too-familiar scenario: a child with a new scooter insists on taking it everywhere, but ten minutes into every trip, doesn’t want to push anymore. 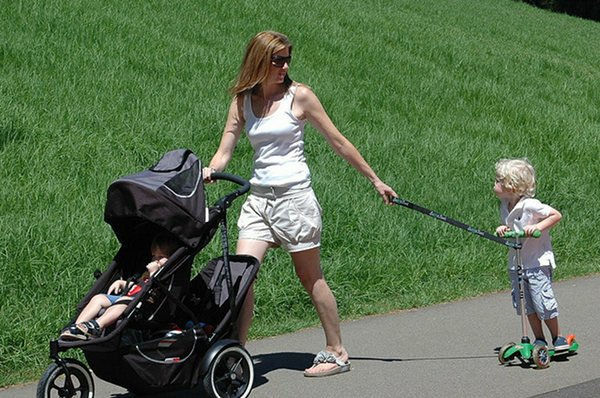 How do you juggle the child, the scooter and the pram you are already pushing as well as three bags of shopping? Like many people, I am the mother of a toddler who likes to do everything herself. This means that even when she wants me to pull the scooter, she still doesn’t want me to touch the scooter. It’s possible for us to have a five minute standoff in a park over this issue! I thought there was no solution except a total public meltdown. Turns out, I was wrong. 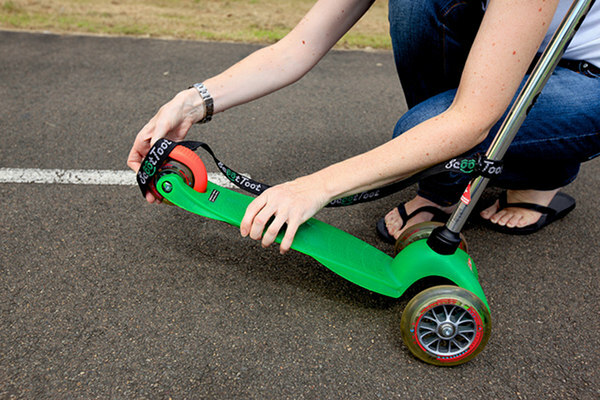 The ScootToot is a strap that attaches quickly and securely to your child’s scooter, helping you to pull them along when they get too tired. No more backache for you, because you won’t have to bend over to pull the scooter. It lets even very independent kids get pulled quickly and safely, and you won’t have to spend ten minutes coaxing your crying child to push a little bit further. The best part? It’s only $12.99, which includes postage to anywhere in Australia. Just select your scooter model from the drop down menu on their site, and ScootToot will send you the right sized strap. Now you’ll never have to carry a scooter again!